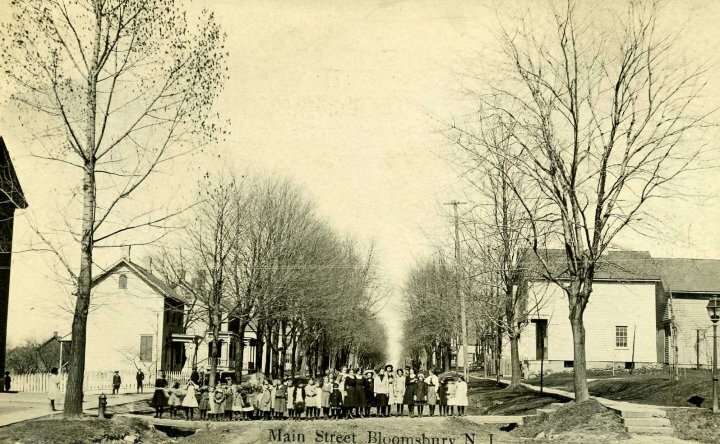 Similar photo to Main Street #1, except this one shows school children (?) lined up. The corner of the school building is on the extreme left of this photo.